Reflections of Opera in Cinema raffle winners! We are thrilled to announce the following winners of our 'Reflections of Opera in Cinema' raffle! Congratulations to our winners, and a huge thank you to our sponsors! 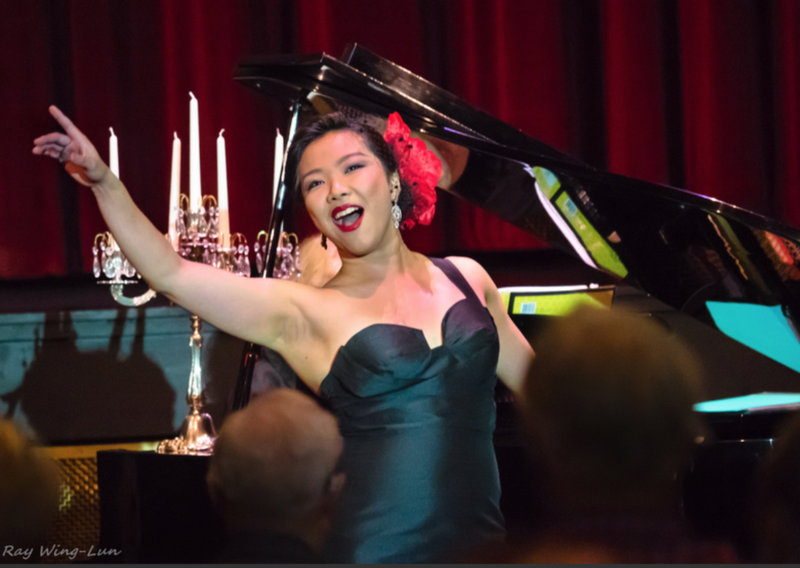 Our ever popular cabaret REFLECTIONS OF OPERA IN CINEMA will return to the Rockdale Town Hall on Saturday 13th April, with a matinee at 2pm and an evening performance at 7.30pm. This special concert, in cabaret style, features young up and coming singers, together with the Rockdale Opera Company Ensemble in a program of highlights from Opera, Operetta and the works of Gilbert and Sullivan as featured in film. Complimentary glass of sparkling wine on arrival; shared savoury platters at the table (additional drinks and refreshments are available for purchase). Seating: Cabaret style at tables of 8. Unreserved unless booking a full table of 8 in one transaction. The online booking system won't confirm that, but our Rockdale Opera volunteers will arrange the reservation on the day of the performance. For catering purposes, booking is essential. Performance dates: 22, 23, 29 and 30 June 2019. (Saturdays at 7.30 pm, Sundays at 2 pm. It is strongly preferable that your audition piece be from The Mikado, otherwise a suitable item from another Gilbert & Sullivan Opera. *Auditionees may be requested to read dialogue. Send email to Ralph Bott, Chairman, requesting an audition. He will respond to you giving you an allocated time. Please indicate in your initial email the role that you are going for. 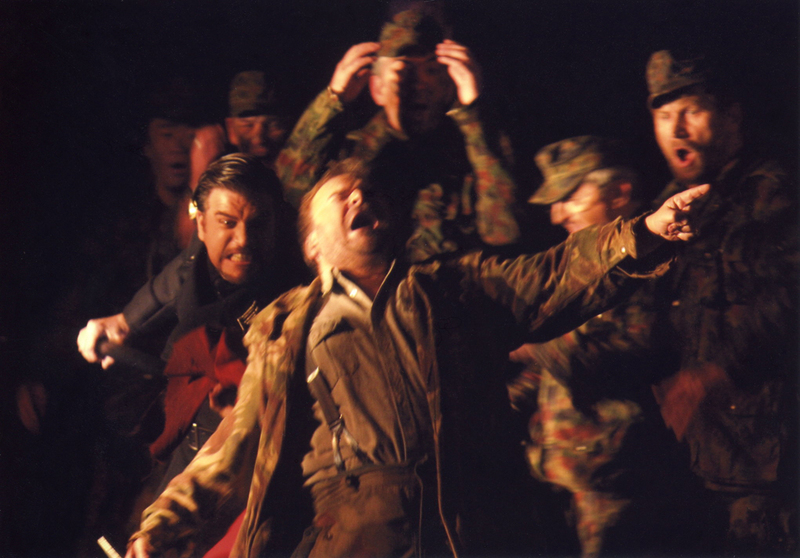 Orientation Night and 1st Rehearsal (full company) Tuesday 18 February. ​Rehearsals are held on Tuesday and Thursday evenings, at the Coronation Hall, Barden Street, Arncliffe, commencing at 7.30 pm. ​Congratulations to the winners of the double passes to the wonderful movie ‘Collette’ which opens in Australian cinemas on December 20th. 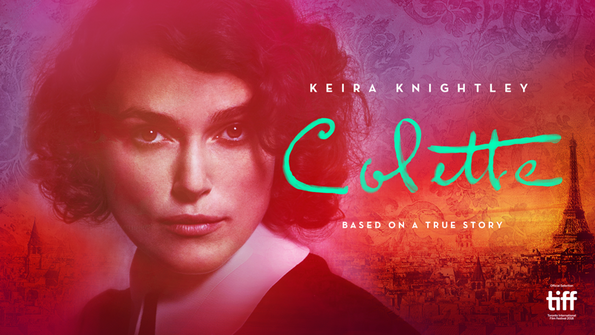 This film features Academy Award nominee Keira Knightley, who portrays the formative years of Colette, who is pushed by her husband to write novels under his names. Upon their success, she fights to make her talents known, challenging gender norms. Directed by Wash Westmoreland (from the Academy Award-winning Still Alice), the film illuminates how Colette developed into a pioneering writer and cultural icon in France, inspiring generations of artists. These tickets have been generously donated by Transmission Films. The book can be purchased at our upcoming production of THE TALES OF HOFFMANN, mailed (Postage $5) or picked up from the Committee by arrangement. ​Contact us HERE for your copy today! 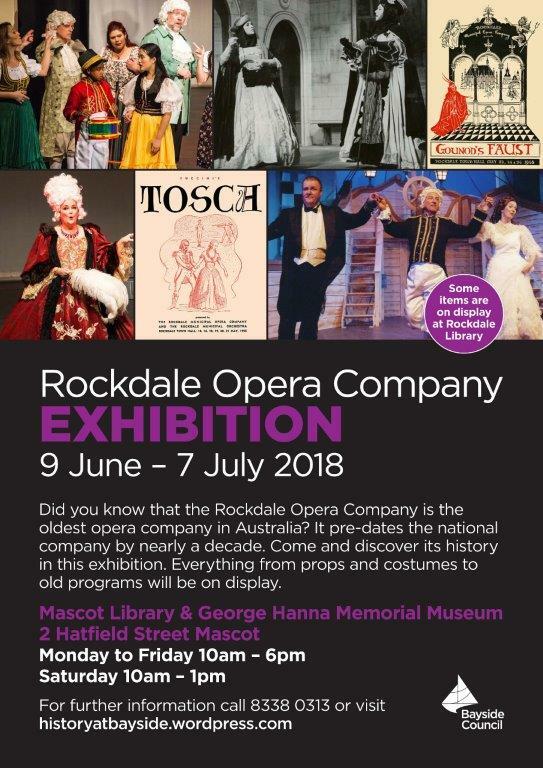 ​Did you know that the Rockdale Opera Company is the oldest opera company in Australia? It pre-dates the national company by nearly a decade. Come and discover its history in this exhibition. 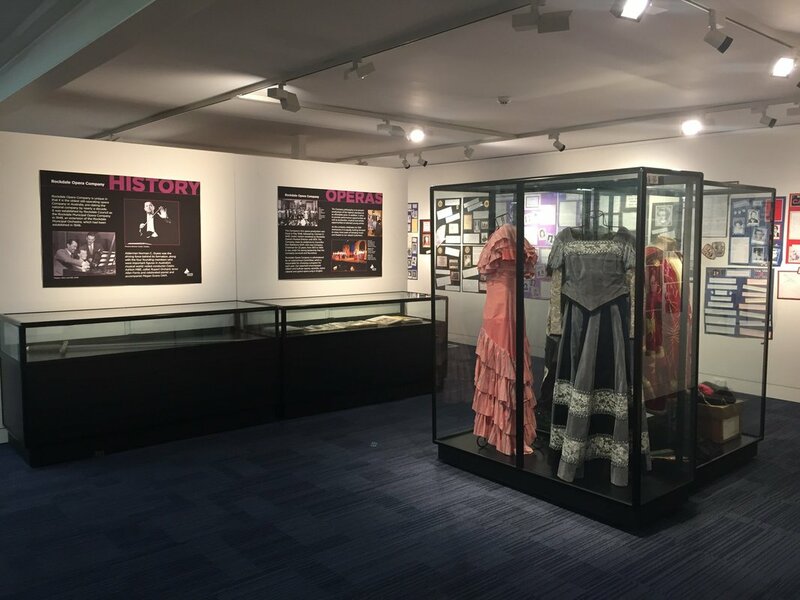 Everything from props and costumes to old photographs will be on display. ANNOUNCING OUR RENDEZVOUS AT ORLOFSKY'S CABARET SOLOISTS! We are thrilled to announce the following soloists for our upcoming Cabaret! Join us for Rendezvous at Orlofsky’s Cabaret! This special concert in cabaret style, features our beloved opera stars, along with up and coming opera singers and our Rockdale Opera Ensemble. It's a highly entertaining program of your favourites from opera, operetta and the works of Gilbert and Sullivan. Enjoy a complimentary drink with a shared savoury platter in a relaxed atmosphere, with the passion of opera, the sparkle of operetta and the merriment of Gilbert & Sullivan! Duration: 2 hours 15 minutes, including 20 minute interval. Raffle winners/double pass to November production - Rachel Balales, V. Jackson, Jennifer Sipos, Ralph P.
Our 2017 Gala Fundraising concert was an enormous success for both the company and the audience attending. We are so humbled by the generosity and talents of international opera singers Emma Matthews & José Carbó, the stunning stars of the evening. Likewise, our Rockdale Opera ensemble and soloists did a glorious job. 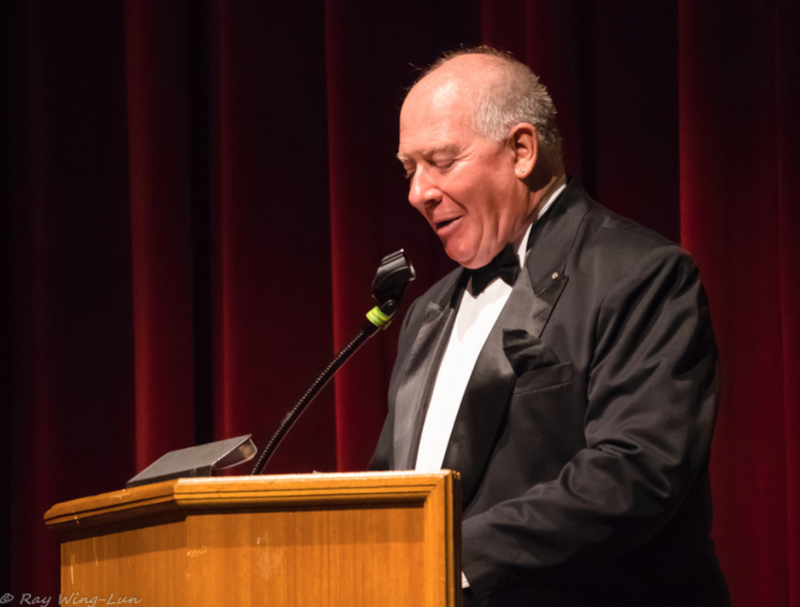 Pictured here are photos from fans and Rockdale Opera Company members celebrating the evening. 3rd prize - Ms Gwynne P.
Thank you to Medusa Greek Taverna, Opera Australia and Duval Jewellery for sponsoring our event. And a final thank you to the cast, crew, volunteers, and especially to our audience & patrons who made the evening so special. Come along to our information night to hear our director Ralph Bott and Musical Director Jon Smith reveal their vision for this well-loved Gilbert & Sullivan. Our ROC Committee will also be in attendance to to let you know about other exciting happenings at ROC this year. Supper will be provided followed by a short first music rehearsal. 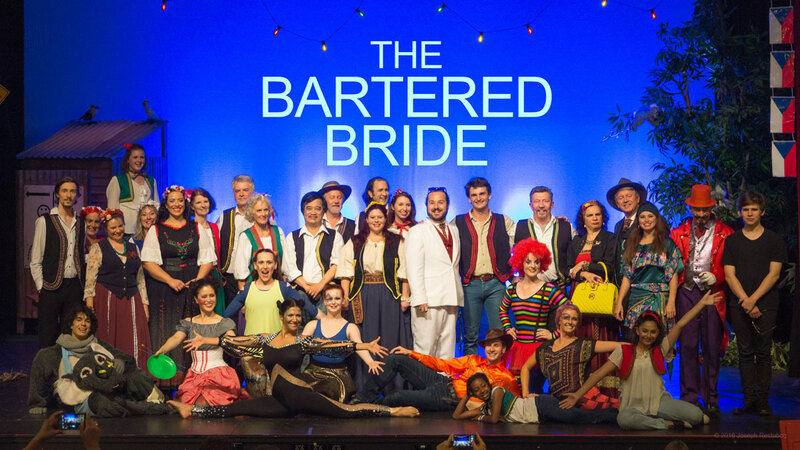 Our production of The Bartered Bride finished on an extraordinary high last Sunday, with a standing ovation and audience members getting their own happy snaps of the on-stage cast photo! The production's success was due in great part to industry professionals Luise Napier and Julia de Plater and the inspired choreography of Rachael Fullston. The four performances played to very enthusiastic audiences, many of whom had no prior knowledge of the opera, but nevertheless enjoyed Smetana's beautiful music sung by some amazing principals and the wonderful ROC Ensemble. 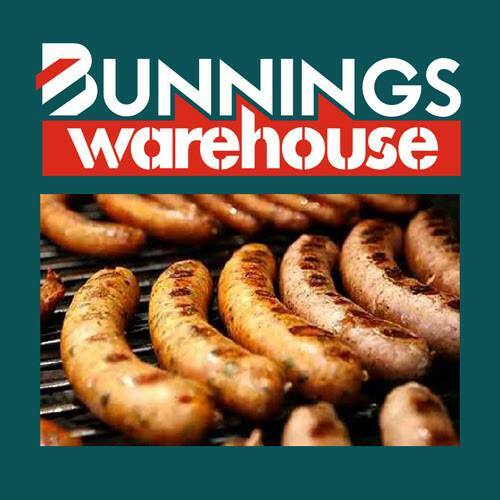 Our customers seemed to love the fresh Aussie interpretation of the Czech story, complete with an authentic corrugated iron dunny, the odd cockatoo and wombat and a mixture of modern and traditional costuming. There was an "Oooh-Aaah" moment when the Circus burst onto the stage with a kaleidoscope of colour, spinning hoops and plates and a high-kicking koala named Kevin! We were thrilled to welcome so many members of the Czech community to our 4 performances, especially Ms Hana Flanderová, the Czech Consul General who provided us with a great deal of support throughout the production period. They were generous with their compliments and very excited (and amazed!) to be hearing their "national" composer here at Rockdale! A big thankyou to all who came to see The Bartered Bride and we look forward to seeing you again next April for our Gala Fundraising Concert with OA stars, José Carbó and Emma Matthews, headlining ROC principals and our Ensemble. 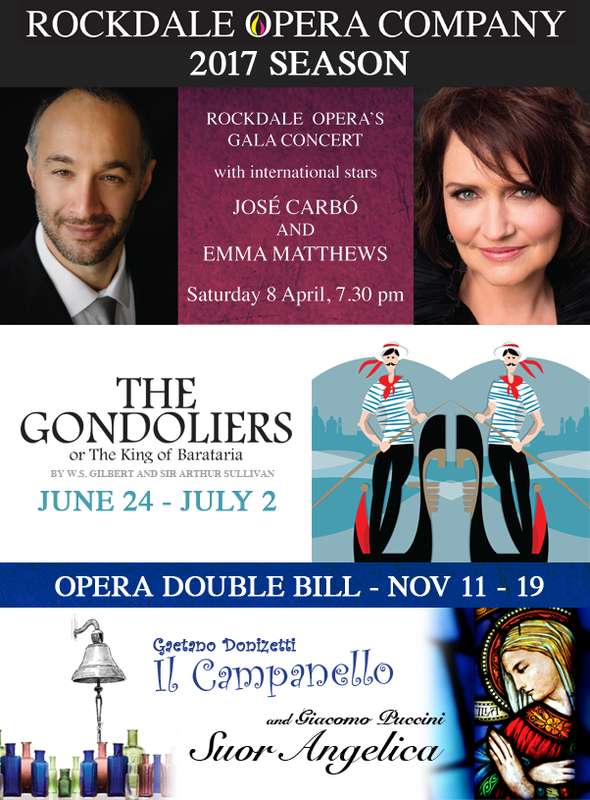 Rockdale Opera Company is thrilled to announce our 2017 Season. With a Gala Fundraising Concert headlined by two extraordinary artists, a sparkling G&S and a double-bill opera which will take you from heartfelt sorrow to outright hilarity, we are sure there will be something for everyone to enjoy! 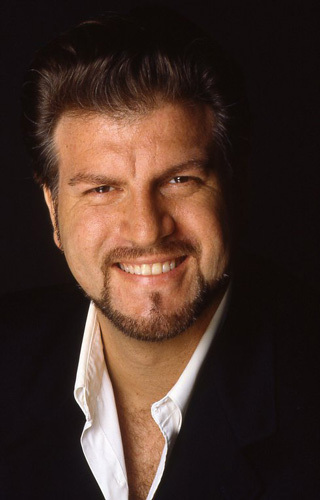 Our season kicks off with a GALA FUNDRAISING CONCERT featuring our new co-Patron, internationally renowned baritone and OA favourite, José Carbó, together with international and OA star, soprano Emma Matthews. 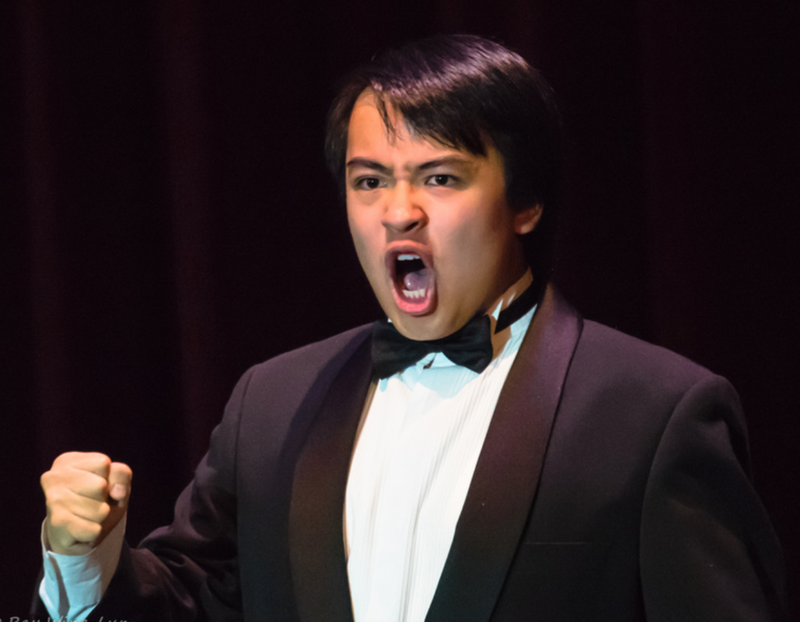 They will be joined by emerging operatic artists and the ROC Ensemble in a program of highlights from opera, operetta and the works of Gilbert and Sullivan. W.S. Gilbert and Sir Arthur Sullivan's THE GONDOLIERS will return to the Rockdale stage after an absence of 14 years. One of the most popular of Gilbert and Sullivan's operettas - and no wonder, with Gilbert's witty lyrics, Sullivan's joyous music including the energetic cachucha, a large cast of principals supported by a host of gallant gondolieri and colourful contadine and last but certainly not least, some very interesting characters from the Sunny Spanish Shore. We welcome back Jon Smith (MD) and Ralph Bott (Director) as the production team. Our final production for the year will be an opera double-bill and a premiere for Rockdale Opera Company. 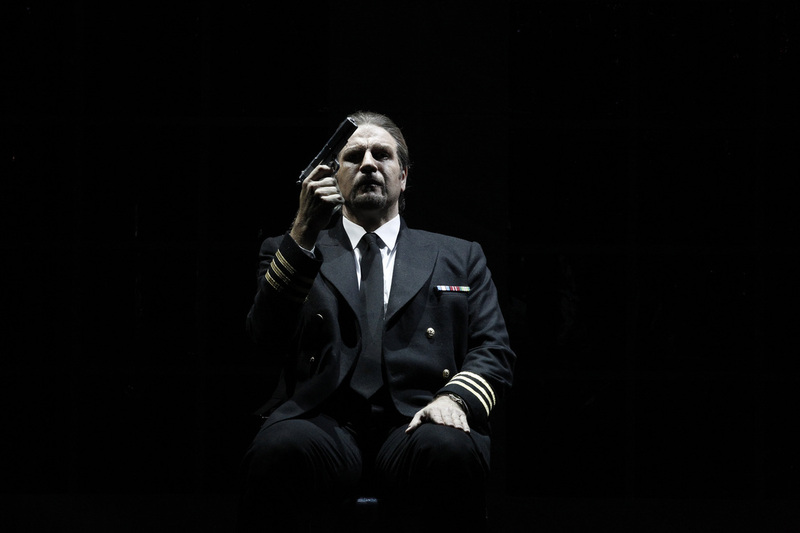 These 2 one act operas will have you crying with both laughter and sadness. Gaetano Donizetti's IL CAMPANELLO is a comedy about the most interrupted wedding night anyone could imagine, whilst Giacomo Puccini's SUOR ANGELICA, the tragic tale of a Mother's love for the baby she was forced to give up, will be sure to tear at your heart strings. Angelica's famous aria "Senza Mamma" is one of Puccini's most touching compositions. The ROC Committee would like to take this opportunity to thank you for your patronage in 2016 and to cordially invite you to join us at Rockdale Town Hall next year for our three exciting productions! ORPHEUS IN THE UNDERWORLD A HUGE SUCCESS! Our recent season of Orpheus in the Underworld has just finished with the company on a real high. Audience responses were absolutely wonderful with enthusiastic applause inspiring the cast to even greater levels of excellence. Compliments ranged from "amazing standard of principals and ensemble ", "best show I have ever seen at Rockdale", to "stunning costumes" and "such fun to watch ". ANNOUNCING OUR STELLAR CAST FOR THE BARTERED BRIDE! Following our production of Orpheus in the Underworld this July, we are thrilled to bring you Smetana's Bartered Bride in November! The fabulous Orlofsky’s Cabaret returned to Rockdale Town Hall on Saturday 2nd April. Compered again by Ralph Bott, it truly was a “Rendezvous” with a number of our 2015 performers back with us and many of last year’s audience returning for another amazing concert. If audience enthusiasm is anything to go by, the Cabaret was clearly a huge success.The auditorium was once again transformed into an elegant cabaret venue, with burgundy table settings, the beautiful Baby Grand in the capable hands of Ingrid Sakurovs and our performers dressed in a gorgeous array of colorful gowns and very swish dinner suits! Prince Orlofsky himself (Megan Chalmers) again welcomed guests and extolled the virtues of the beautiful city of Vienna, in Vienna City of My Dreams. This song followed the rousing opening number from the Rockdale Opera Ensemble, The Students’ Marching Song from The Student Prince. This year’s Cabaret once again featured a mixture of all-time favorites with some less well known but equally beautiful numbers. Soonki Park held the audience in the palm of his hands when he sang Se Vuol Ballare from The Marriage of Figaro and Bella Siccome un Angelo from Don Pasquale. 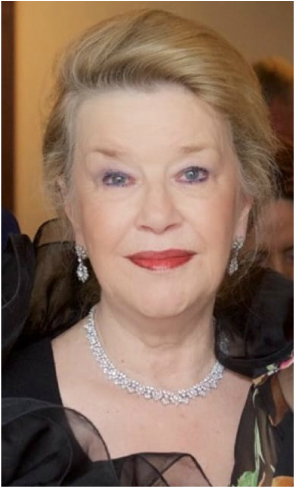 While Daniel Sloman’s voice soared in the glorious Lensky’s aria from Eugene Onegin and the fabulous Musica Proibita by Stanislao Gastaldon.Corinne Parker once again amazed us all with her stunning renditions of Marietta’s Lied by Erich Korngold and Art is Calling for Me by Victor Herbert. Daniel joined Corinne to sing the beautiful duet O Soave Fanciulla from La Boheme by Pucinni. 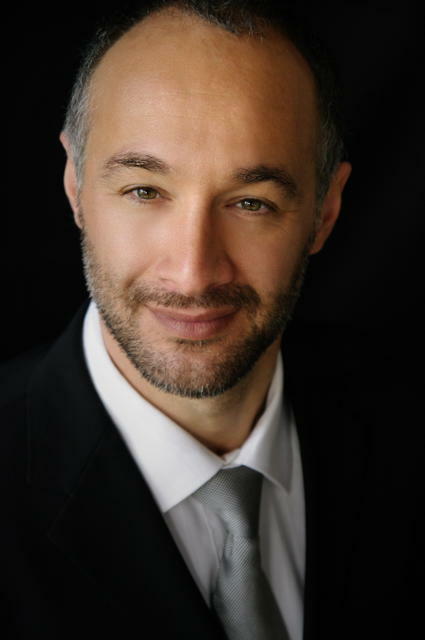 Paul Sutton (who is Orpheus in ROC’s upcoming production of Orpheus in the Underworld) sang the glorious La Barcheta by Reynaldo Hahn and Jermaine Chau performed the French waltz Les Chemins de l’Amour by Poulenc. Both performances were captivating. A surprise inclusion was Megan’s spirited performance of I Hate Men from Kiss Me Kate! Samanta Lestavel (and the Ensemble) thrilled the audience with the haunting Vilja from The Merry Widow. There was an audible sigh of deep satisfaction with the closing note, followed by rapturous applause! There were a number of Gilbert & Sullivan numbers included in the concert. The lovely Madrigal from The Mikado was presented by Megan, Samanta, Paul and Harrison Collins. The double chorus from Patience - In a doleful train with twenty (well, almost!) lovesick maidens traipsing around the auditorium in hot pursuit of the aesthete Bunthorne (Gordon Costello) was great fun! The Cabaret also showcased highlights from Orpheus in the Underworld with Paul Sutton as Orpheus, Stephanie Jennifer Poropat as Eurydice, Claire Chehade-James as Diana, Tisha Kelemen as Venus, Christopher Curcuruto as Mars and the Rockdale Opera Ensemble (with a fabulous virtuoso violin performance by Harrison Collins). Judging by the applause, all goes well for this production in July. Orlofsky’s 2016 Cabaret ended on a high note (literally) with Megan, Daniel, Corinne and the entire Ensemble presenting the bubbly Champagne Song from Die Fledermaus, followed by the riotous finale from The Marriage of Figaro in which we encouraged the audience to “revel all the night”! A big thank you to everyone who attended Orlofsky’s Cabaret. We invite you to join us again next year for another fabulous afternoon or evening of beautiful music, good company and amazing prizes and Prince Orlofsky looks forward to seeing you at ROC’s 2016 productions - Orpheus in the Underworld and The Bartered Bride. SEE YOU AT ORLOFSKY'S CABARET! TICKETS $50 each which includes a complimentary drink on arrival with shared savoury platters on each table. For catering purposes bookings are essential. Great prizes to be won! *Unreserved seating unless booking a full table in one transaction. ORPHEUS IN THE UNDERWORLD CAST ANNOUNCED! "RENDEZVOUS at ORLOFSKY's CABARET" - Saturday 2nd April. "THE BARTERED BRIDE" - November 12th,13th,19th and 20th. MARRIAGE OF FIGARO A HUGE SUCCESS! 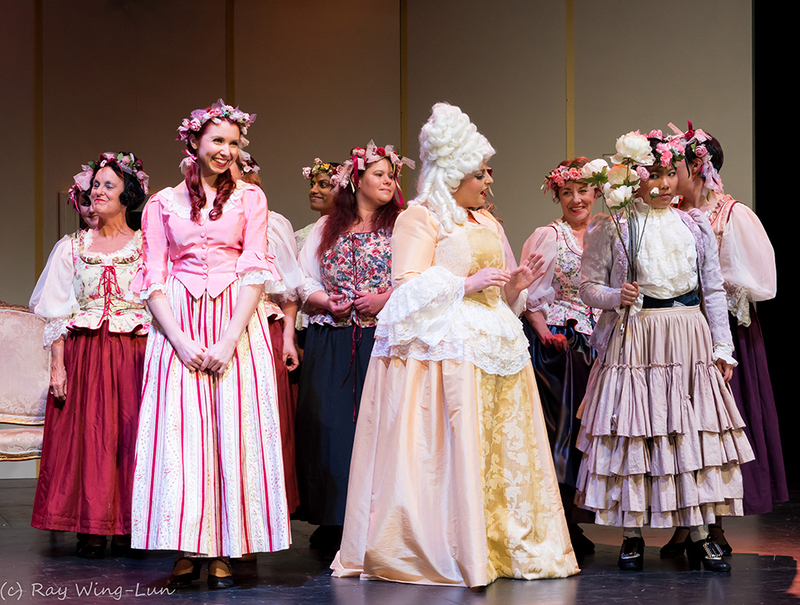 Our audiences went away raving about the talent both on and off the stage of our recent production of Mozart's most beloved opera's The Marriage of Figaro. You can read what the critics thought below! OUR MARRIAGE OF FIGARO RAFFLE WINNERS! Drawn by our Bartered Bride production team, Julia de Plater and Luise Napier. BACK IN 2016 DUE TO POPULAR DEMAND!! We are thrilled to announce that due to overwhelmingly positive responses from our audiences, Rendezvous at Orlofsky's Cabaret will be back in 2016! ​Join us in a relaxed Cabaret atmosphere with a glass of wine and nibbles, whilst enjoying a sampler of the beautiful music Rockdale Opera has to offer. The program will feature fabulous singers presenting favourites from Opera, Operetta and Gilbert and Sullivan. Ticket price covers a complimentary glass of bubbly and savoury nibbles at your table. Tickets are limited and will be available from early in the New Year. Come with friends and make a table, or come on your own, we promise you an afternoon or evening of sheer enjoyment. A YEAR OF "FIRSTS" FOR US! 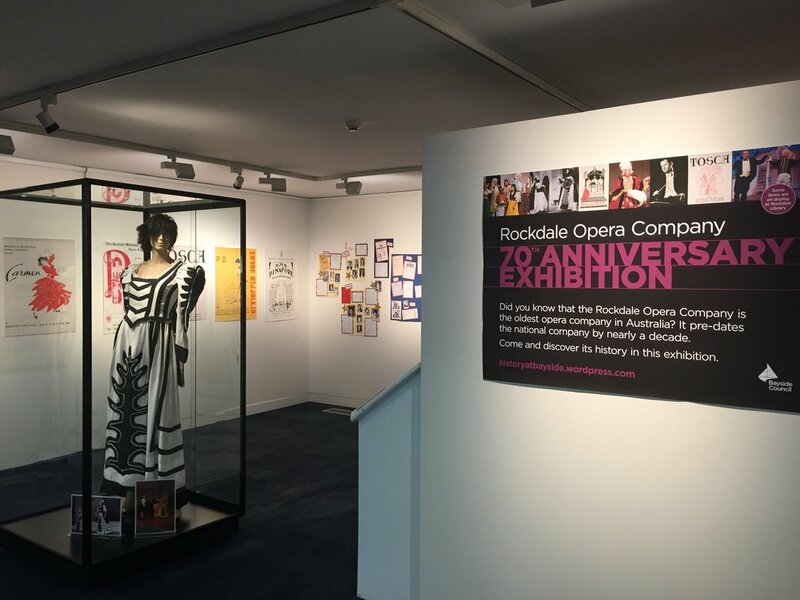 ​2015 has been a year of firsts for ROC, kicking off with our fabulous inagural ‘Rendezvous at Orlofsky’s Cabaret’ in April and then our hugely successful “Makeup and wig dressing workshop” in September. We followed the workshop with our exclusive social event on 19 September. Those who came along got the scoop on our season for 2016! The evening was one of divine food (thank you Katerina, John and Bill of Mama’s Café Patisserie, Bexley) and even better company! It was a great opportunity to unwind, learn a bit more about each other and completely over-indulge in a supportive, friendly and relaxed environment! MARRIAGE OF FIGARO CAST ANNOUNCED! “Trial by Jury” and “Cox & Box” was a huge success! Rockdale Opera Company would like to say a big thank you to our loyal patrons for coming to see a relatively unknown Gilbert and Sullivan production. G&S fans were particularly excited about Jon Smith’s direction and the chance to see “Cox & Box” in its original form. There were two diehards who returned a second time because they were sure they would never have the opportunity to see that version again in their lifetime! That’s devotion for you. The Committee would like to thank our Trial by Jury/Cox & Box Company who were a great bunch of people – from old hands, through ROC regulars, to first timers! We hope many of them will be back with us for future shows. We are now excitedly looking to our next offering - “The Marriage of Figaro” in November directed by Paulo Montoya. This is Paulo's first time with ROC and we are very excited by his vision for this opera. Our MD Steven Stanke (who last worked with us in “Iolanthe” in 2011), joins a brilliantly talented cast of singers who will bring you the brilliance of Mozart’s comic opera. Sun 31st - John M, Alex, Jeanette. Sat 6th - Elsie Yalouris, Davis, Nancy. All 1st prize winners have also received 2 complimentary tickets to 'Marriage of Figaro' this November. Our audiences are raving about our Rendezvous at Orlofsky’s Cabaret! Our 2015 season got off to a brilliant start on Saturday 18th April when Rendezvous at Orlofsky’s Cabaret opened its doors to a very appreciative public! From the beautiful burgundy table settings, to the elegantly clad performers, from the opening surprise Flashmob performing the rousing Drinking Song from The Student Prince to the fabulous Ensemble finale of the Brindisi, from the incredible Ingrid Sakurovs at the Baby Grand to Orlofsky himself (Megan Chalmers in tuxedo-clad sartorial splendour!) – our audiences experienced an afternoon and evening of glorious music and amazing talent. Old-time favourites like You are my Heart’s Delight (Daniel Sloman) One Alone (Megan Chalmers) and Goodbye (Jonathon Chan) received rapturous applause from members of the audience who fondly remembered the wonderful operettas Land of Smiles, Desert Song and White Horse Inn. Likewise the beautiful harmonies of The Barcarolle Duet (Megan and Stephanie Poropat) and The Pearl Fishers Duet (Daniel and Soonki Park) left the audience spellbound. Two favourites from Carmen gave the audience a chance to be involved as Jermaine Chau delighted everyone with a very sultry Habanera performed amongst the guests and Soonki had people clapping along with his stirring Toreador’s Song. Corinne Parker stunned us all with her beautiful rendition of Rusalka’s Song to the Moon, Stephanie’s Poor Wandering One left everyone gasping at her vocal gymnastics and Stephanie and Jonathan’s playful Papageno/Papagena Duet from The Magic Flute was captivating. The Cabaret also showcased highlights from our 2015 productions of Trial by Jury and The Marriage of Figaro and judging by the applause, all goes well for these two productions in May and November. We were thrilled that our new Patron, Daniel Sumegi was able to attend our evening performance and lend his support to our 2015 program. It is close to 30 years since Daniel last appeared at Rockdale Town Hall and he was amazed at the beautiful refurbishment of the building and extremely impressed with the quality of the Cabaret performers. A big thank you to everyone who attended Orlofsky’s Cabaret! 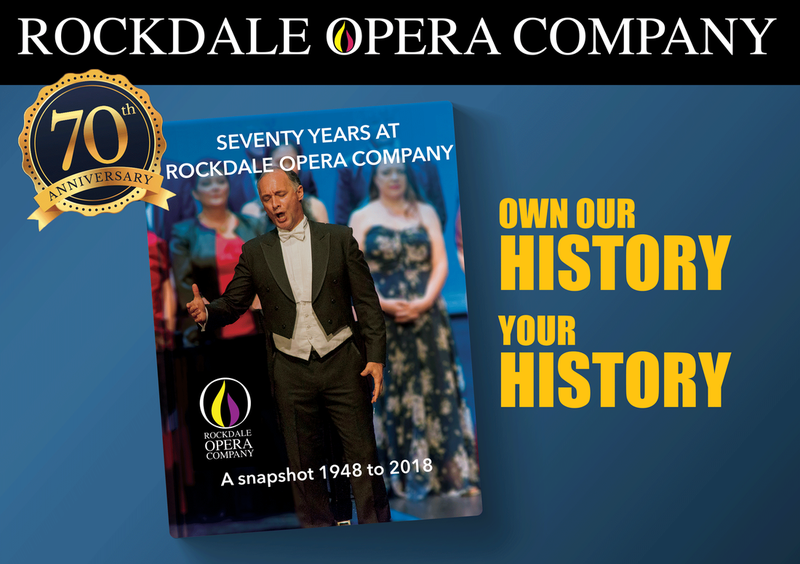 It is clear that you loved the relaxed Cabaret format - of sitting at tables with friends, a glass of wine and something to nibble on, whilst enjoying a sampler of the beautiful music Rockdale Opera has to offer. Rest assured, we will be doing it all again next year! The raffle will be drawn at the evening performance of Rendezvous at Orlofsky's Cabaret, Rockdale Town Hall on 18th April 2015. Winners will be announced on the night, notified by phone and listed on ROC's website. 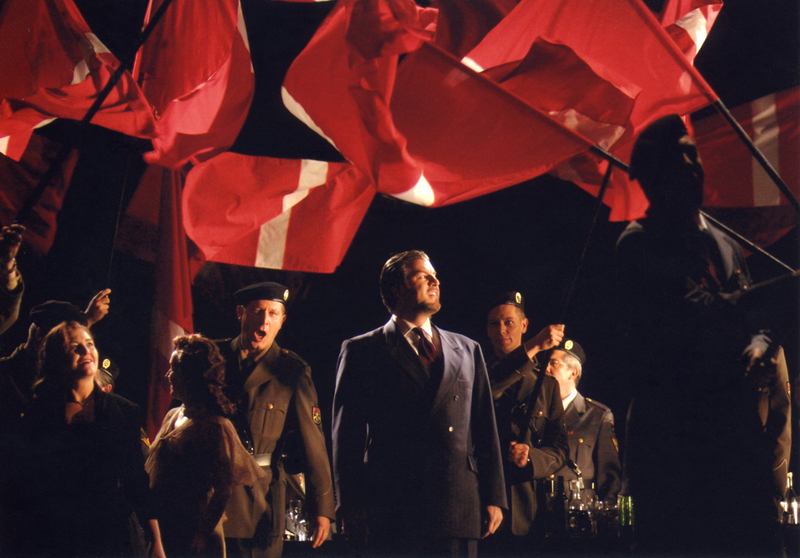 2 "A RESERVE" tickets to an OPERA AUSTRALIA PERFORMANCE! Original still life painting by renowned artist Don Ezard. After first studying Painting and Composition at East Sydney Tech, Don gained employment in the Animation Industry. Designing and animating on big budget movies such as Moulin Rouge, Australia, Legend of the Guardians and the Academy Award winning, Happy Feet for which he was Main Character Designer and Animation Supervisor. Don works now as a Children's Book illustrator and his passion for theatre continues as resident Set Designer for his local Theatre group in the Southern Highlands where he now lives. A member of the Bowral District Art Society, Don continues to paint and exhibit in many Art Shows around the State. This double-bill has not been performed at Rockdale since 1962! In November we are proud to present (for the first time ever!) Mozart’s classic “upstairs, downstairs” comedy “The Marriage of Figaro”. Musical Director Steven Stanke and Director Paulo Montoya. SPECIAL 2015 SEASON TICKET OFFER !